DJ Tom Caruana of Tea Sea Records (see what he’s done there?) 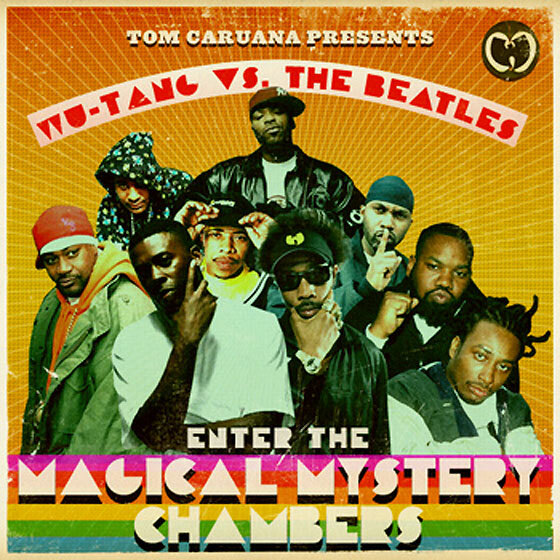 has released this awesome mash-up mix, which features Wu-Tang Clan acapellas over classic Beatles samples. Don’t think you’ll be recognising the likes of Eleanor Rigby and Taxman straight away though – the beats on this album are far removed from the originals, whilst still retaining the fab four’s catchy hooks. The mix has been out for about a month now, but I heard it on an excellent radio program yesterday evening on Radio 1 by Reggie Yates. The program documented the influence of The Beatles back catalogue on a whole range of black music, from Ray Charles to Donny Hathaway and featured some prolific interviews from the likes of Common, Q-Tip and the big man himself, Paul McCartney. Check it out next time you’re on iPlayer.